The Maya Kitchen once again inspired young cooking enthusiasts from the Bellevue Kids Club by throwing a Baking Class at B Hotel last Sunday. My daughter often see me prepare food in the kitchen, And let her "help" as to encourage her love of learning. I notice that she likes to learn making her own omelettes and pancakes. I let her help with her own mixing bowl. She is happy with cracking eggs, pouring and stirring, She has the irresistible urge to participate in everything, At times, she insists on doing the whole thing herself, I feel that my kid is ready to cook and bake on her own. 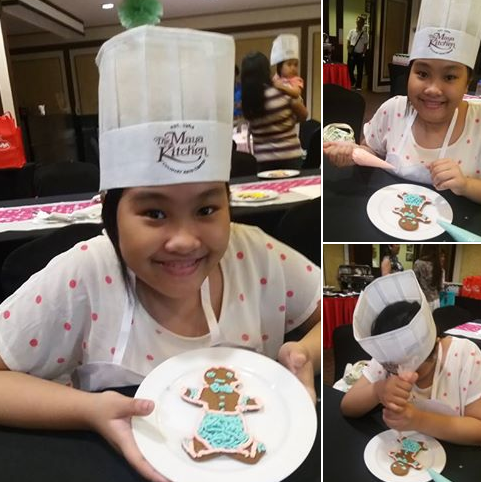 It was timely that she had a chance to attend The Maya Kitchen Baking Class, Akong with kids aged 4 – 12, she had a grand time making her own Vanilla Cupcakes and Ginger Bread Cookies. 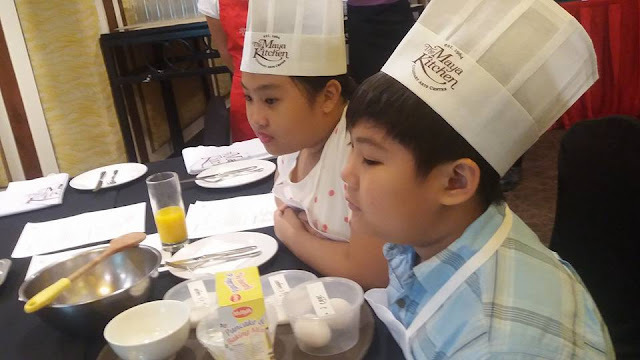 Cooking with kids is a fun experience, and baking is the easiest ways to do so. It is something that gets better with time. 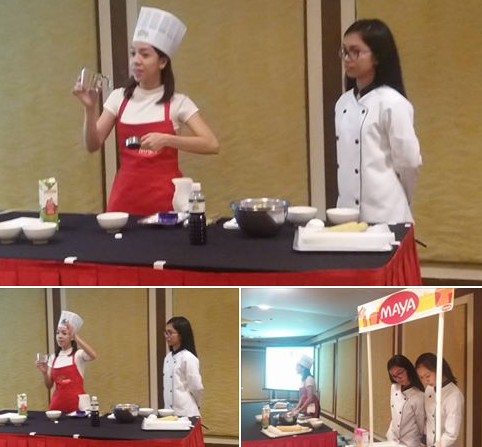 Something with this baking–learning activity excites them. Well, who doesn’t find Vanilla Cupcakes and Ginger Bread Cookies exciting? I am sure that all little hands will love making these goodies in the kitchen! 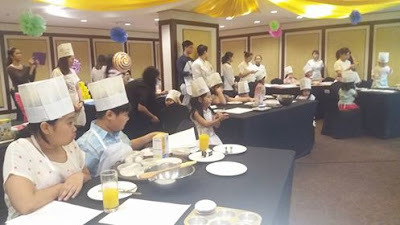 The baking and decorating kept even the most energetic children busy over the whole activity. It was amazing that the smallest of hands can be surprisingly good in the kitchen! 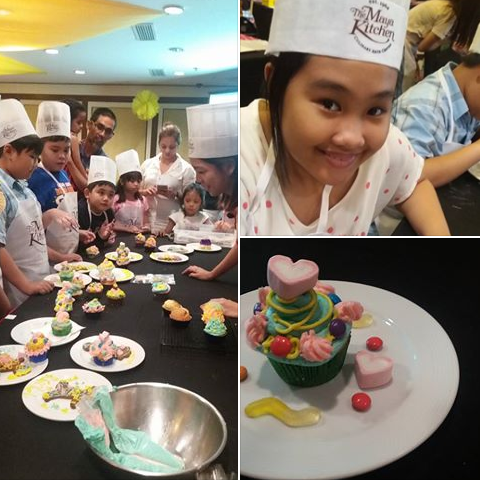 It can get messy and chaotic at times, but the experience creating these goodies together will surely last a lifetime! 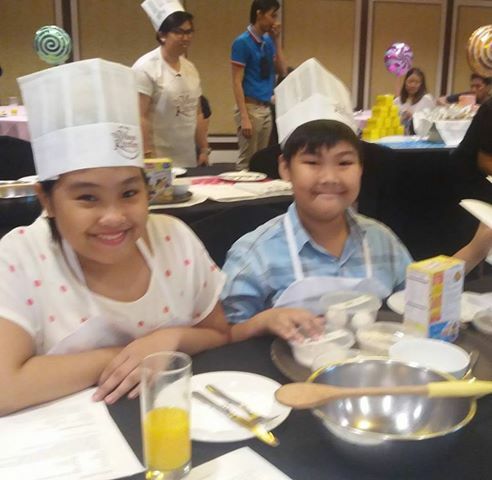 The idea of baking and cooking without my assistance connects with my daughter's yearning for more freedom and responsibility. I am happy that she was given this chance to spread her wings! Special thanks to Joy of OccasionsOfJoy for extending an invitation.